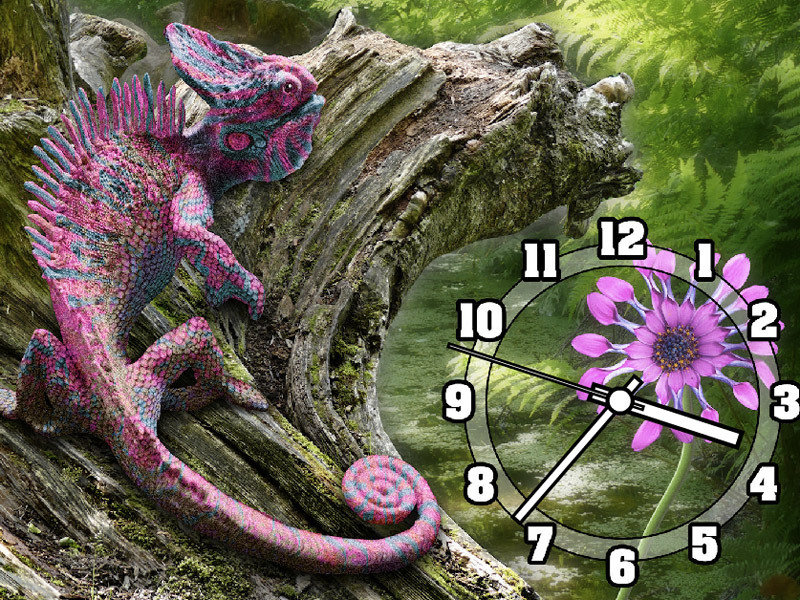 7art Chameleon Clock screensaver - Majestic handsome Chameleon on your desktop! 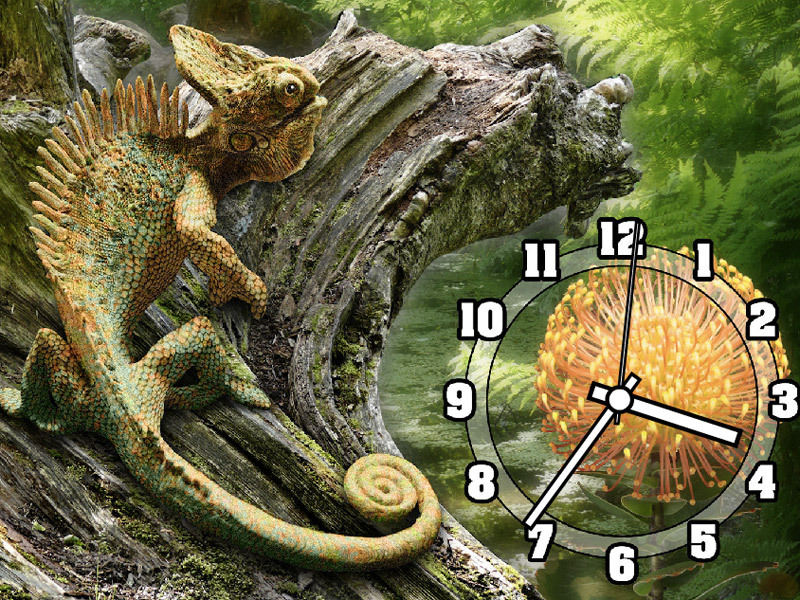 The vigilant chameleon sits solemnly on your desktop adapting its camouflage to the natural tropical environment. Be amazed at the handsome creature perfect in grace and majesty! Let it be the symbol of security and magical transformation for your daily life! illuminate your environment, mood, mind and goodness! Charge your mood with beaming rich colours. Be amazed at the handsome creature perfect in grace and majesty! Fill your life with wonders, happiness and goodness! 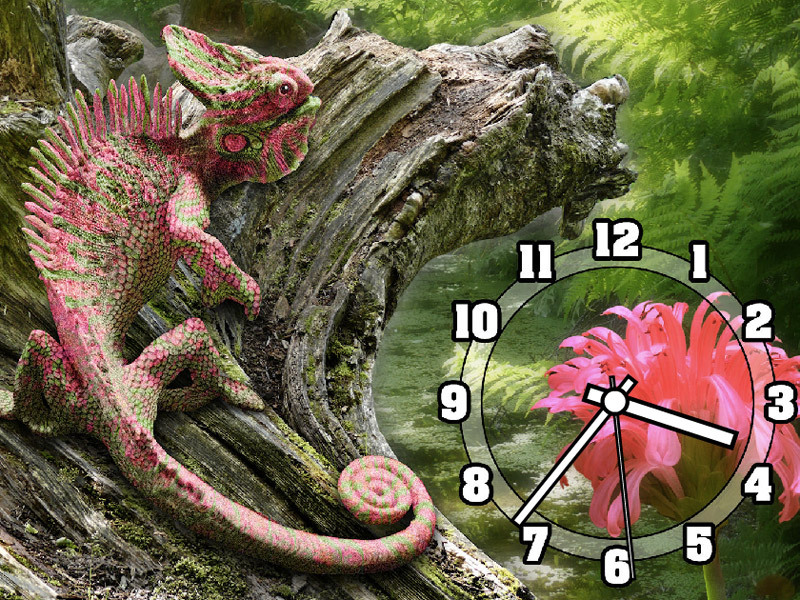 Dragon is capable of bringing welfare signifying success, leadership and protection. With dragon assistance you discover insight within you to use full of your potential. Let in this powerful animal into your life as a source of enthusiasm and clarity.